Cheap non-stop flights from Milan to Egypt’s Red Sea coast from only €49! Great opportunity to relax on the shores of the Red Sea! 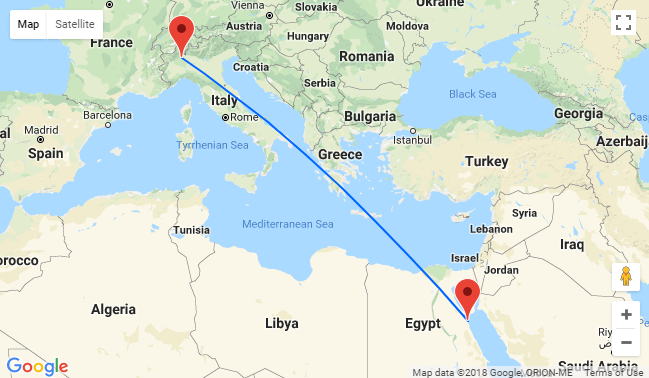 We found cheap flights from Milan to Hurghada from only €49 for a roundtrip with Eeasyjet! Being a destination for history lovers, Egypt is famous for its diving opportunities! Plan your trip to this country to admire the underwater reefs and awesome marine life. Also you can combine your relaxing holiday with other famous locations along the Nile Valley and don’t miss out paying a visit to the ancient city of Luxor! CLICK HERE >> or just follow one of the links below and adjust travel dates. Cheapest rates are available for bookings of 4 adults. 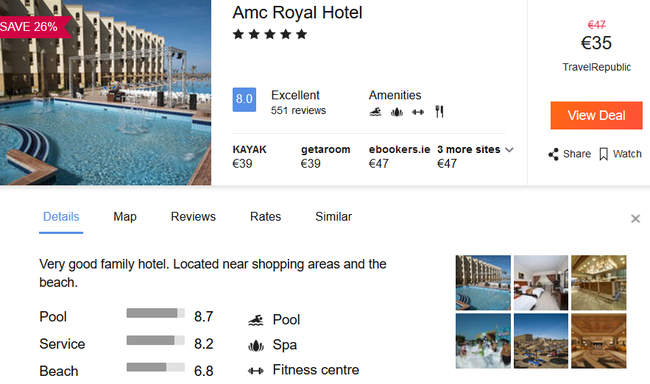 We suggest you to stay at 5* Amc Royal Hotel with excellent reviews. This 5-star hotel is situated directly on the beach in Alahyaa District in Hurgahda. It offers a private beach and a vast range of water activities including scuba diving and snorkeling. All rooms and units feature a balcony with views of the Red Sea. Each one offers a flat-screen TV, a minibar and an electric kettle. The suite includes a seating area complete with a dining table. A shower is fitted in the bathroom. For an energizing workout, the hotel features a fully equipped health club including gymnasium, sauna, and steam and massage rooms. Other activities on site include table tennis, beach volleyball and darts. Hurghada Centre, with its markets and promenade, is only 11 km away from AMC Royal Hotel. Free private parking is possible on site. Summer! Cheap flights from Vienna to Rome and vice versa for only €19.98! Cheap break in Morocco! 3-night B&B stay at well-rated riad in Fez + cheap flights from Milan for just €66!